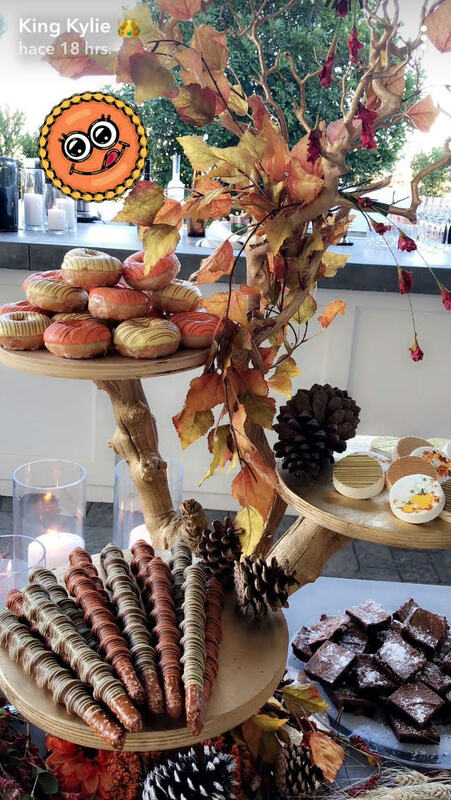 Kylie Jenner may have a lot on her plate these days — she has recently launched seven pop-ups for her makeup line, Kylie Cosmetics, she runs a successful app, and is reportedly pregnant — but that didn’t stop the youngest Kardashian/Jenner from throwing an INCREDIBLE Thanksgiving celebration (for the second year in a row, we might add) at her house in Calabasas. 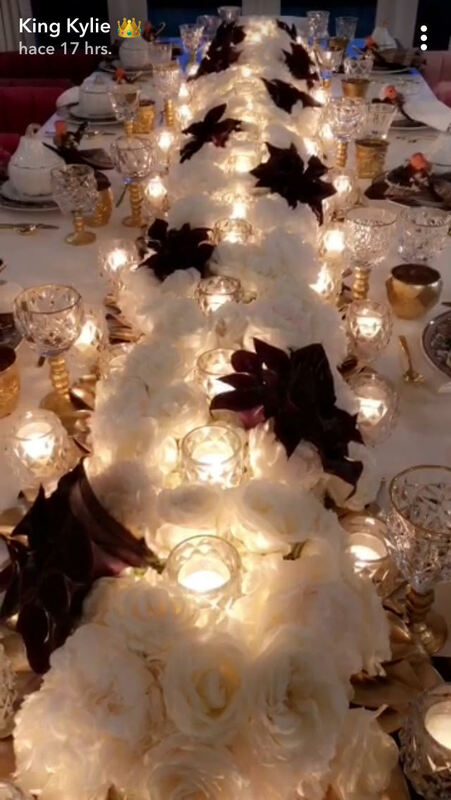 From the food to the decor to the snapchats, everything just screamed Kardashian. 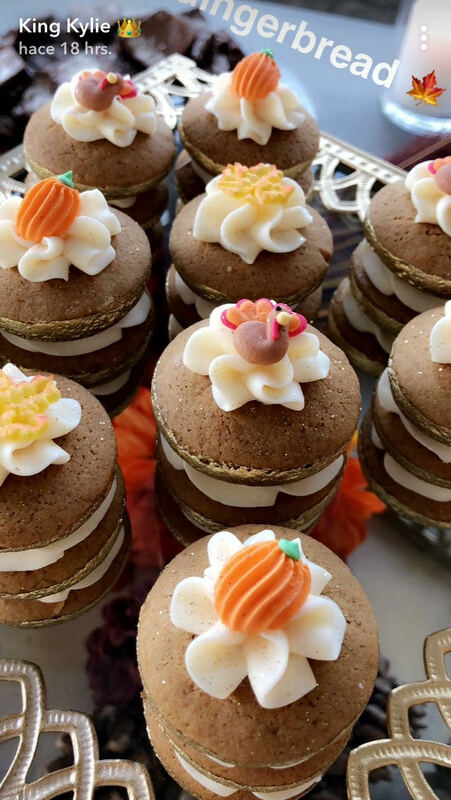 It seems like Kylie is taking a page out of her mom’s book and fine-tuning her hosting skills, and, we must say, this shindig is Thanksgiving goals. Thanks for the inspo, Kylie! It seems like we should probably start preparing for next year’s feast…now? To get the full picture, let’s take a look at what Kylie shared via Snapchat. We’re not even entirely sure what some of these things are in the above photo, but we want them. Yum! 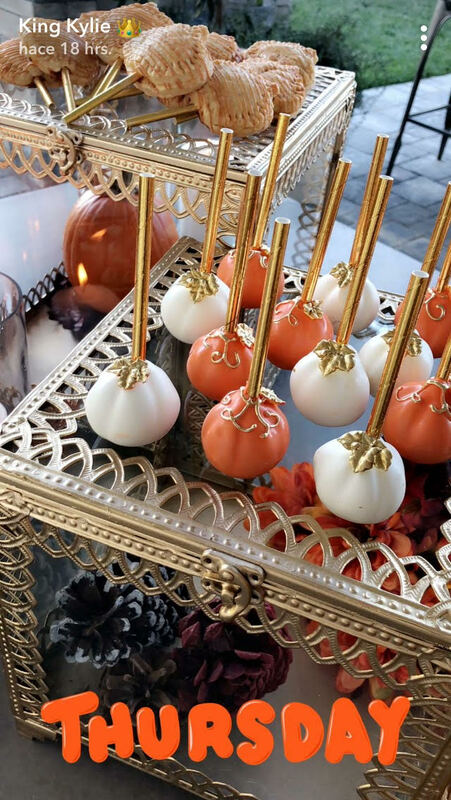 And we thought our Thanksgiving snacks were impressive. Wow. How cute are these place settings? And here’s the whole table. The flowers are just GORGEOUS. As expected, the food looks as good as the snacks and the decor, if not better. Can we go back to yesterday and do Thanksgiving all over again? 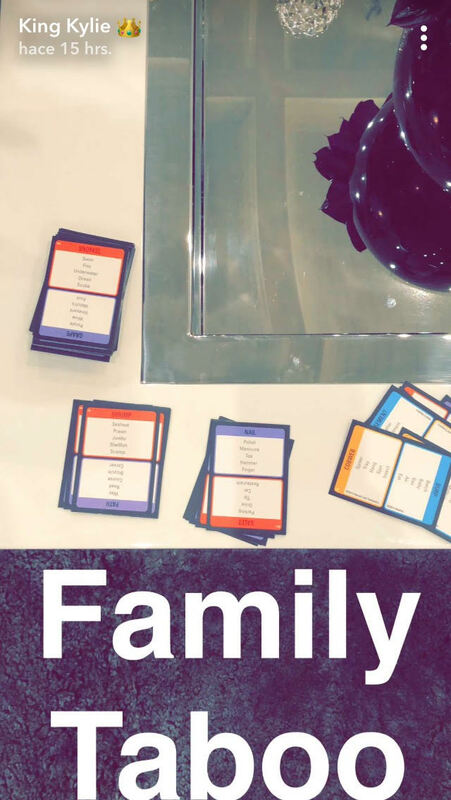 After eating, it looks like the Kardashian clan played some games. So fun! We love Taboo! Kris is the only family member who makes Kylie’s story. The Kardashian matriarch seems to approve of her daughter’s hosting skills as she looks happy as a clam. We’re not entirely sure who else was there. 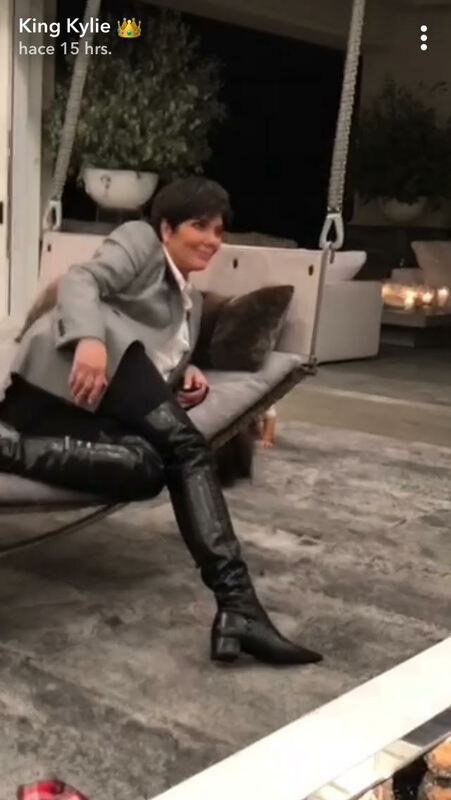 Kim and Rob can be heard in the background during some of the snaps, while Kourtney and Kendall shared bits and pieces of the meal on their Instagram stories. But what about Khloé? 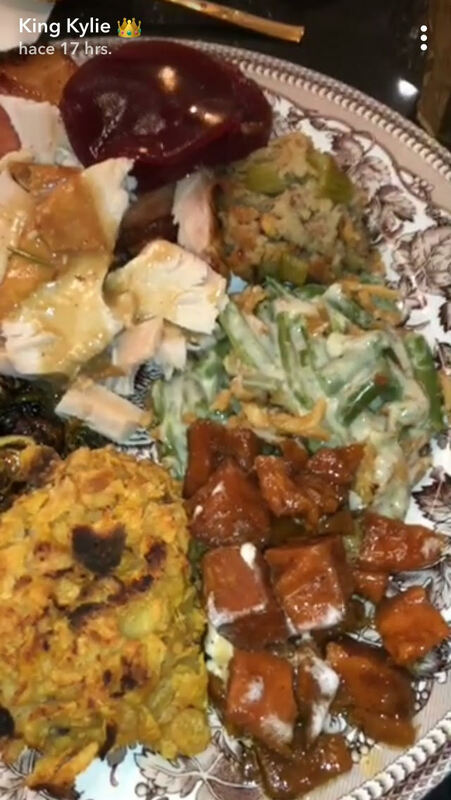 The other reportedly pregnant Kardashian sister was celebrating turkey day in Cleveland with her beau, Tristan Thompson. We’re glad the family had such a great Thanksgiving! And we are also glad we got a glimpse inside of this swanky event, because we didn’t realize just how poor our hosting skills really are. We can’t wait to up the ante next year.